beFORE takes on the challenge to transform university entrepreneurship education, company training and business practice. The project anticipates to develop and release the original educational offer, which would nurture Futures Literate Individuals with improved capacity for analysing and dealing with the unknown future challenges when pursuing a professional career, managing an organisation or developing innovations. The project will contribute to building a methodological and theoretical framework for future-oriented entrepreneurship coupled with the development of e-learning based educational solutions, in order to facilitate achieving a desired foresight awareness and maturity levels among entrepreneurs, students and educators.The specific needs of the target groups will be analysed in a pan-European survey and effectively addressed in the educational offer composed of: one main and the three auxiliary e-learning courses for students, entrepreneurs and academics. Futures Literacy e-learning courses will be tested among target groups in national pilots in: Poland, Italy, Germany and Spain. The European-targeted results of the project will provide an effortless starting point for wide implementation across other countries, to which the associated partners (i.e. ISPIM, FEN, EPPM) will contribute to. by students helping them to capture and develop business ideas. laying foundations to transform organisations into anticipatory and adaptive systems. On September 21, a meeting of the beFORE project partners took place at 4cf’s headquarters in Warsaw, Poland. The participants of the meeting were representatives of ITeE-PIB, UNIPI, FREIE, 4CF and BUT while MUE connected with the project team via Skype. The aim of the meeting was to make a collective overview of learning materials prepared so far, and to formulate recommendations in terms of contents and technicalities. After an introduction of the meeting objectives and an overview of state-of-the-art within WP3 followed by general comments regarding basic programme modules and lessons, partners responsible for each consecutive module were presenting the contents. Every presentation was immediately followed by feedback from the reviewing partners; enriched by constructive comments and discussion regarding open or problematic issues. In the final part of the meeting, WP4 tasks and thematic orientation was presented and discussed. Key decisions, recommendations and next steps discussed during the meeting referred to: proper and catchy introductions to the lessons, the way content is presented, the use of multimedia forms, unification of the presentation method, partners’ visibility in prepared materials. Particular attention was paid to the relationship between WP3 and WP4 materials. 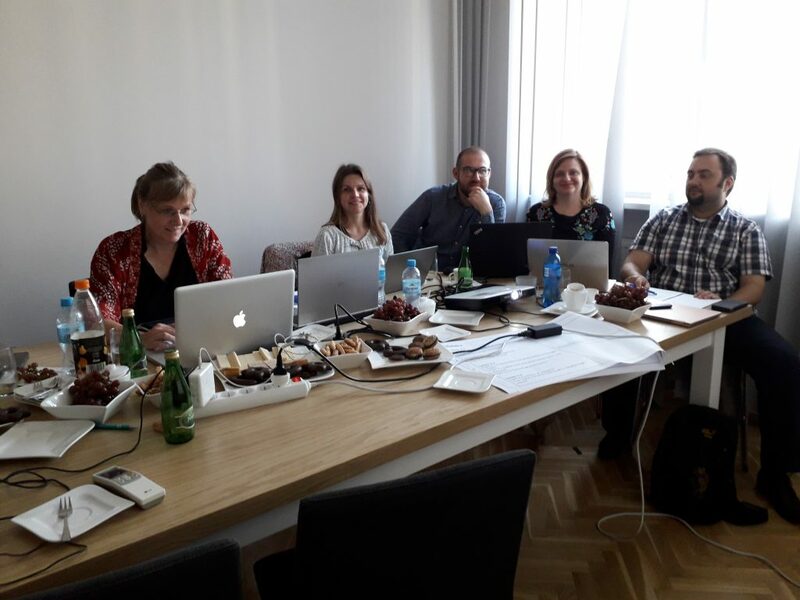 In the context of the last issue raised, all participants of the meeting agreed that there is a lot of interesting and valuable material for both WP3 and WP4. As always, the project meeting was also an opportunity to integrate the team. Thanks to the hosts, all participants could count on a warm welcome and a creative atmosphere.